The cutest of sugarpokes with two of our little Belgian friends! 2 x Ewe-ans - one of a kind! The cutest treats around! 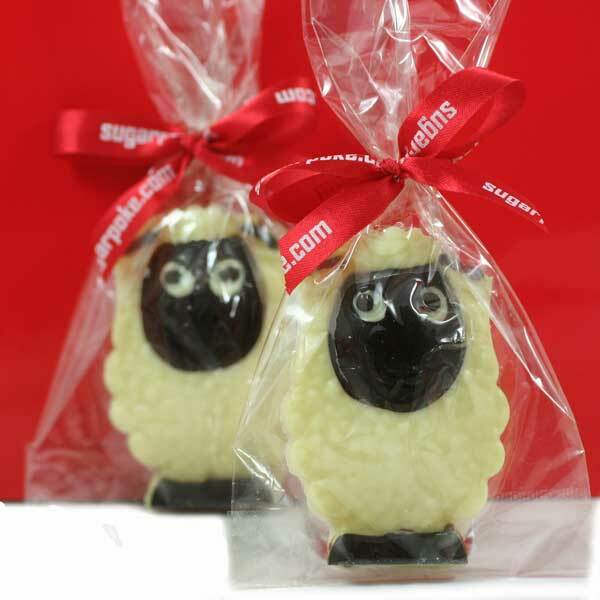 Two adorable white chocolate sheep (28g) with dark chocolate decoration. Ewe can't go wrong with Ewe-an... and it's even better when there's two of him! Perfect gift for children, twins or if you're saying thank you to a couple, mum & dad, grandma & grandad - or just anyone that deserves a little treat of these adorable Belgian chocolate characters!